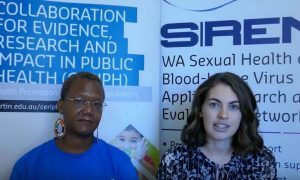 SiREN has developed case study videos to share lessons learned from WA sexual health and blood-borne virus projects. 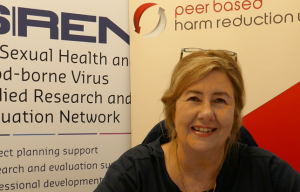 In this case study, Leanne a Nurse Practitioner at Peer Based Harm Reduction Western Australia talks about their peer and nurse led outreach approach to providing hepatitis C testing and treatment to people who find it difficult to get access to regular healthcare. Watch the video here. To find out more about the work of Peer Based Harm Reduction Western Australia, visit their website. 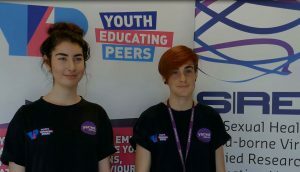 In this case study, peer educators Julia and Kai talk about the Youth Affairs Council of Western Australia’s YEP Project. YEP aims to educate, empower and positively evolve young people’s perceptions, attitudes and behaviours around sexual health & blood borne viruses. They do this by working in partnership with the WA youth sector and building the capacity of youth workers. Watch the video here. To find out more about this project visit their website. In this case study Corie Gray and Victoria Sande talk about their research exploring Barriers to HIV testing among people born in sub-Saharan Africa and South East Asia. Watch the video here. To find out more about this project visit the project information page here. 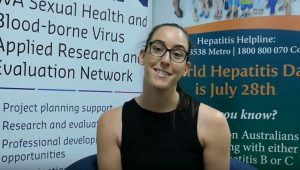 In this case study Bianca from HepatitisWA talks about the YOUR Health program. YOUR Health is an education program that aims to equip young people with the skills and knowledge they need to make positive choices about their sexual and mental health, relationships, and blood-borne virus risk. The program is a partnership between HepatitisWA, Peer Based Harm Reduction WA, SHQ, and the WA AIDS Council. Watch the video here. YOUR Health has also shared copied of it's evalaution forms, click here to see YOUR Health's pre evaluation and post evaluation forms. 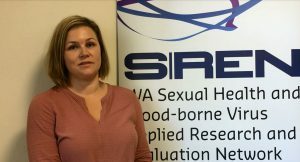 In this case study Jacqui talks about the Curtin Relationships and Sexuality Education Project (The RSE Project), which delivers professional development training and support to school-based staff in the area of RSE. This evidence-based project strives to develop and establish a competent network of knowledgeable, skilled and confident teachers and health educators who can deliver RSE in schools. Watch the video here. The RSE Project have shared copies of their pre and post evaluation survey for the two day professional development course.